I’m writing this article in the hopes of passing on my experiences with file organization and how it can help your career as a professional. Please note, there is no perfect system or little robo-maid to organize your various raw files and images…that’s your job. So hopefully after reading this article, you may be inclined to either create an organization system or improve the one you have! “You and your design team have been working to the last-minute to meet a publication deadline for the latest issue of TIME Magazine. Its 9am, your team’s job was to provide the Art Director with the finished InDesign document containing the latest issue however, instead of “packaging” (refer to packaging later in the article) the documents, you grabbed all the local files onto a zip and emailed it. All went smoothly until the Art Director realized that the illustrations and photos are missing and the fonts aren’t recognized. Because of this small mistake, the deadline wasn’t reached on time and Time Magazine postponed their publication by several days. Though the above example may seem drastic but missing files, lost typefaces and even folders that aren’t properly sorted can affect people’s livelihood especially when facing a deadline. The reality is, something simple as a missing linked file can put a hold on a project, and potentially mar your career’s reputation as a professional. During my undergrad years at Pratt Institute, I can’t tell you how many times I saw students…even seniors print out their children’s book or graphic design project only to find that local files were missing all because of a little laziness towards organization. If used properly, this guide may help you avoid the potential mistakes and headaches associated with poor management. Regardless of your discipline and your current place of work, files and documents need to be organized! As a budding professional, it’s your duty to be on top of your database. So with that said, I’m going to share with you my system. The purpose of a file management system is to help you or the users find what ever file. 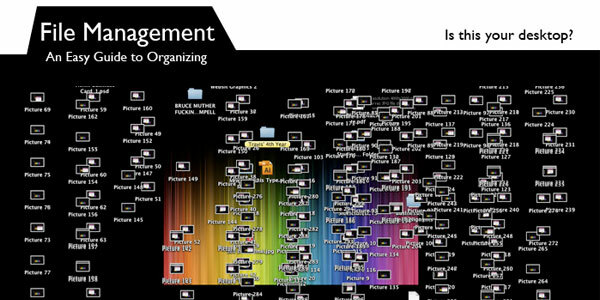 For my friends who prefer the desktop space, here’s a refresher on sorting. Keyword: Ease. Below is how I treat my files. This system follows a basic 3 folder system. Assets: Thats where any photos, textures and stuff you added to your work should go. Artwork: The raw art files go here. Press: It’s a good idea to have versions ready for Print and Web. Saves you the time. It could be that simple! However, a file system can be complicated. Note: For my folks using InDesign CS3 -> CS5, you can “package” your document so that all linked files and typefaces are grouped together in an easy bundle. AWESOME! Whatever the case be, your file management system should make sense and work for you. Now that I shared my system, below are some tips to keep in mind. A decent file organization system lends itself well if properly used. In other words, don’t make an elaborate maze of files only to become lazy and dump your files onto the desktop! Your documents shouldn’t be an “organized chaos” or be constructed meticulously. The point of a system and this article to help you, the reader, locate files easily by properly sorting your folders and files. Did you forget to Save? It’s a simple practice, but the average designer and student doesn’t save nearly as frequent as they should when working on the computer. RAM intensive programs like Photoshop, Illustrator, Maya and After Effects are notorious for crashing when least expected. Like in your video games, save often! A good tip is to have your files backed up either online or via external hard drive. Personally, all the work I produced in college is stored on my 1TB Lacie. I suggest having a small flash drive…something like 4gb+ to carry whatever local or project files you were currently working on (this saved me multiple times!). I recommend visiting Cnet.com in regards of purchasing the right external storage device. You can also look into an online backup service to ensure that all your files will never be lost. Nothings worse than losing those precious illustrations and designs you worked endlessly on. By definition, Iterations are newer versions of the original file. Lets say you’re coloring in a line art drawing of a character. A good habit is to save versions of each major change separately in a new file while leaving the original file alone. By doing this, you can always retrace your steps and not worry about damaging the original artwork. Throughout this article, I kept mentioning “organization” and using every derivative of that word, but I can’t stress this point enough! In the third year of my undergrad as an Illustrator, I wished that I knew half the points mentioned in this article. I pulled a rookie mistake by having missing files for an After Effects project that I needed for a critique. After several near failing marks, my professor at the time showed me how my files should look like. Avoid simple headaches and mistakes. By knowing where your stuff is, it cuts down the guess work and allows for easy transport. For example, if your digital painting project is sorted and grouped together, you’ll be able to pick up and work anywhere. Being organized is a must for any professional. So what do you think? Share your tips and tricks in the comments below. 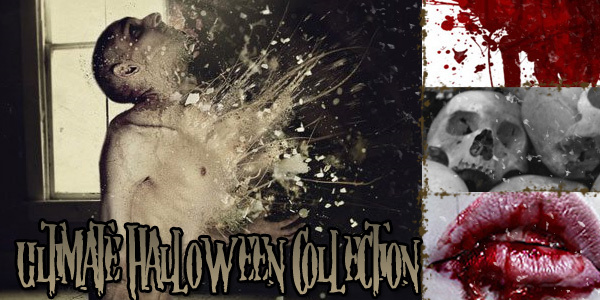 Ultimate Collection of Scary Halloween Tutorials, Brushes, Fonts, and More! knowledge and talents to benefit the art community. How have I never known about the InDesign package feature? Does Photoshop have something similar? Organizing is a must, especially when you working with many projects. Later, when projects will become bigger and complex, it can save a lot of time. For myself I’ve decided that all my files and folders organization should follow three rules: be clean, plain and simple. Sadly, but it’s mainly a matter of experience and time – the more you grow as artist, the more grow “technical” side of your works. I went into art school with the wrong idea of focusing only in one direction. It wasn’t until halfway through college did I realize how everything is interconnected and relative. Its so cool think that as an artist, you’re growing in more ways than one. @Travis it is an amazing thing to grow in more ways and different directions as a designer/artist. But sometimes i feel it can get you lost, like in my case i am a designer, motion graphics, filmmaker… my passion is filmmaking, but my current work is as a motion designer! dunno if moving around into different categories of (design) would be good or bad! any thoughts? I feel that limiting oneself to a particular idea or practice may restrict growth. I don’t know if you’re into cartoons but this one show on Nickelodean may serve as a good example, “Avatar: The Last Airbender”. The protagonist, Aang needs to learn all 4 elements: fire, water, earth and air in order to restore balance to the world. Aside from the elemental properties of each bending form, Aang is learning different ways of thinking and is able to tackle problems. Despite having a passion for film making, motion designing may open doors or allow you to explore different ways of expression. 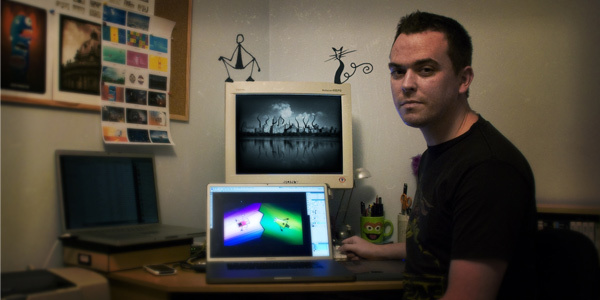 You could incorporate techniques and elements from motion designing into a film. Anyways, in my personal opinion, its worth giving it a shot. This is such a great article!! I always seem to have a hard time organizing files, but the 3 file system you have will really make that difference for me. I agree in having an external TB. Computers crash and it’s important to have our worked backed up in an external TB as well as a cloud system just in case. Do you know of any others that are free? maybe dropbox? I am using this information to maximum effect! Thanks! Great Article!!! Couldn’t explainhow much of an importance it is to maximize your productivity being organized! Great write up! Licensing: All of our resources are free for personal and commercial use. For specific details, please review our copyright and terms page. Media Militia is a project funded by Activator Studios. We create unique and obsessively crafted designs. Copyright © 2018. Media Militia.